The couple had talked about having their own restaurant one day. But they did not foresee purchasing one with decades of brand equity and a loyal customer base. “Scallions was both a great circumstance and a great fit for what we believe in, which is fresh ingredients and healthy, local food that makes you feel good,” Eric said. The Swoyers were pleased that they would not have to start from the ground up to fulfill their dream, they said. 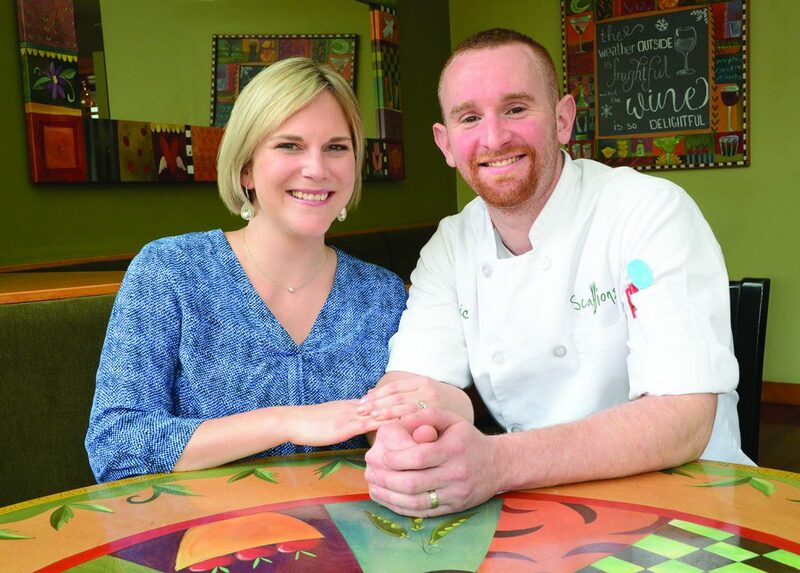 “It’s a lot of work finding the right people and the restaurant already had a wonderful staff,” said Liz. Eric said he enjoys cooking seafood “because it is delicate and challenging, and the challenge drives me.” He has sourced some products on the menu from different places than previously. For example, he is getting Faroe Island salmon from off the coast of Denmark rather than North America. The owners have taken a small room in Scallions that over the years was used for a variety of purposes and designed it for private parties. Visit www.scallionsrestaurant.com for more information.